It’s been a bit since I managed to get one of these up! 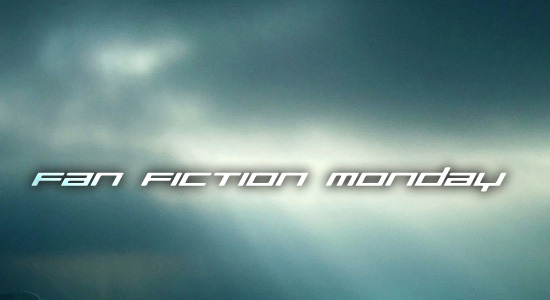 Well it’s time for another Fan Fiction Monday and this week I’m going to reach into my past. I’d like to tell you all about a group I’ve been involved with for well over fifteen years. Back before I knew anything about Roleplaying Games, Fan Fiction or the Expanded Universe of Star Wars, I played X-Wing and TIE Fighter. Through the magic of our 14.4 bps modem, I found a group of guys (and girls) who played the same game and started up a fan group for it. We organized ourselves into “Squadrons” and challenged one another to beat certain missions at record times, find new ways to destroy an Imperial Star Destroyer and race around the galaxy with only laser cannons and some luck. Before long we started doing a IRC chats and e-mailing around a newsletter with all our newest achievements. In those newsletters we also had fiction pieces about our Squadrons available for everyone to read. It was a way to see our adventures on the page, catalog them and save them for future use. I’d never even heard of Fan Fiction then, but that’s where I wrote my first words. In a way, I owe my current desire to be a writer to those early Squadrons. Without their support and eagerness to read what I’d written, I’d have never kept doing it. Fast forward 15 years and some of those Squadrons still exist. I’m not kidding you. In fact, I’m still part of one. We’ve moved beyond playing X-wing and TIE Fighter (only because they no longer work on our new PCs) but the fiction remains. There is a treasure trove of Star Wars fan fiction stored within the old, hallowed halls of this group. They’ve kept it hidden too long and so I’m busting the doors open. I encourage all of you to visit their website, explore the “Lounge” area (6th link down on the left) and read some stories in the “Point of View (POV)” department. There’s enough there to keep you busy for a week, or more. And, if you are so inclined, stop by the Comm-Net and say hello. We’re a very friendly bunch. And, if you are truly daring, considering signing up and make some stories of your own! And now, the link. Visit Red Squadron aboard the CRS Morning Star. You’ll be glad you did. To visit the forums (Comm-Net) go here. This entry was posted in Fan Fiction, General and tagged CRS Morning Star, Fan Fiction, internet, point of view, POV, Red Squadron, Squadron, star wars, tie fighter, video games, x-wing. Bookmark the permalink.